Nelson Ranch - This home’s highlights include, new interior paint, no rear neighbor, a modest courtyard for additional privacy, an open floor plan, and a great covered patio & backyard perfect for entertaining. FRESH PAINT! MLS#2065542. Coldwell Banker Premier. Centennial Park - Home comes with a 30-day buyback guarantee. Terms and conditions apply. MLS#2064316. Opendoor Brokerage LLC. Amberwood Estates - Don’t miss out, Make an offer today! ! MLS#2065018. 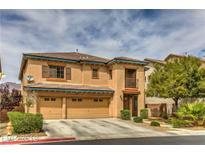 Compass Realty & Management, L.
This property is a must see! 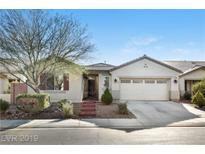 MLS#2063878. Luxury Realty. Ann Losee Village - Open Concept* Airy * Huge Great Room * Pride Of Ownership * Upscale Custom Kitchen Cabinets * There Is Not Another House Like This, For This Price * Lovely New Flooring * New Ac* Enormous Walk-in Closet In The Master * Come And Take A Look * Tiny Hoa * Close To Everything You Need * Play Ground And A Community Pool*ez Maintenance Backyard* Corner Lot Home MLS#2063918. Resolution Realty. Aspen Hills - **beautiful Single Story, Three Bedroom Home**large Backyard**spacious Living Room And Open Kitchen With Breakfast Counter*solid Countertops*pantry*lots Of Cabinets*refrigerator, Washer And Dryer Included*master Bedroom With Full Bath And Double Sinks*2 Car Garage*convenient To Shopping, Schools, Public Transportation**priced To Sell Fast** MLS#2063462. Nevada Realty Connection. 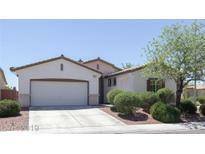 Ann Losee Village - Paver driveway, low maintenance desert landscaped front yard and big backyard with covered patio. 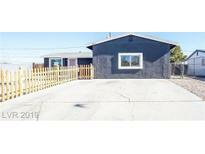 MLS#2062720. Urban Nest Realty. Club Aliante - This desirable Amberly model features open floor plan,gourmet kitchen with granite finishes,maple cabinets and stainless appliances,,cozy fireplace, located on premium oversized lot with beautiful desert landscaping, covered patio and wide open views of the golf course .Enjoy great amenities that include clubhouse, tennis, basketball,pool,playground just minutes away from your front door ! Must see ! MLS#2061944. Platinum R.E. Professionals. 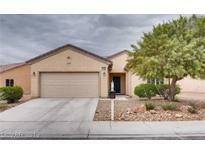 Ravenna At Aliante - Entertain in your fully landscaped backyard /covered patio play area & dog run MLS#2062065. ZipRealty Residential Brokerag. 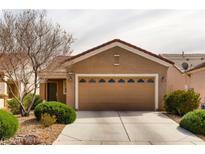 Wonderful Age Restricted golf community with full service club house including weight room and pool. Come see this beauty today! 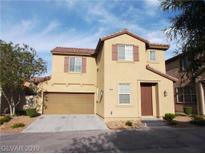 MLS#2061280. Realty ONE Group, Inc.
Aspen Hills - Buyer Will Save Alot Of Money On Monthly Bills. MLS#2063020. Choice One Properties & Manage. 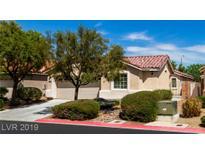 Sun City Aliante - Very active Senior community, Preferred if some Furniture sold with home. MLS#2061371. Reiss Properties. Aspen Hills - All new American made cabinets, plumbing & electrical fixtures and MORE!!! GET IT WHILE ITS HOT! 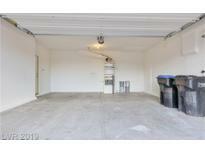 MLS#2060712. First Full Service Realty. Golf course, pool, gym, evens, clubs. 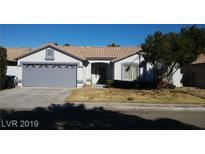 MLS#2056404. ERA Brokers Consolidated. Centennial Clayton - This home truly has it all! MLS#2056094. Urban Nest Realty. Highly upgraded Pulte home in Sun City Aliante* This property is turn-key* Cedar model w/3 true bedrooms & open concept floor plan* Gorgeous kitchen w/granite counters, ceramic tile, lots of cabinets, kitchen nook & breakfast bar* Large master bedroom & good sized secondary bedrooms offer plush carpet, ceiling fans & window coverings throughout* Backyard boasts extended covered patio & tranquil setting* Wonderful golf course community* MLS#2056111. Coldwell Banker Premier. Clayton El Campo Grande - This house is very close to school , just across the street, all appliances included, carpet through out, easy access to school , shops, freeway, pool size backyard, ready to move in MLS#2055991. 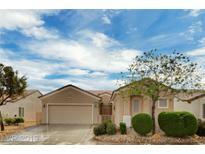 Nevada Real Estate Corp.
Centennial Park - A must see and you won't be disappointed! This will not last long! MLS#2056180. Go Global Realty. Nelson Ranch - The community pool, park, gym, clubhouse, and trails are part of the Waterfall Homeowners Association. MLS#2052077. Opendoor Brokerage LLC. Centennial Park - Gorgeous Covered Patio Fitted with Ceiling Fan and Lighting!! Come see today! MLS#2051885. Prime Acre International LLC. Carmena - Great for investor. current lease will expire 7/2019 MLS#2049573. Asian American Realty.